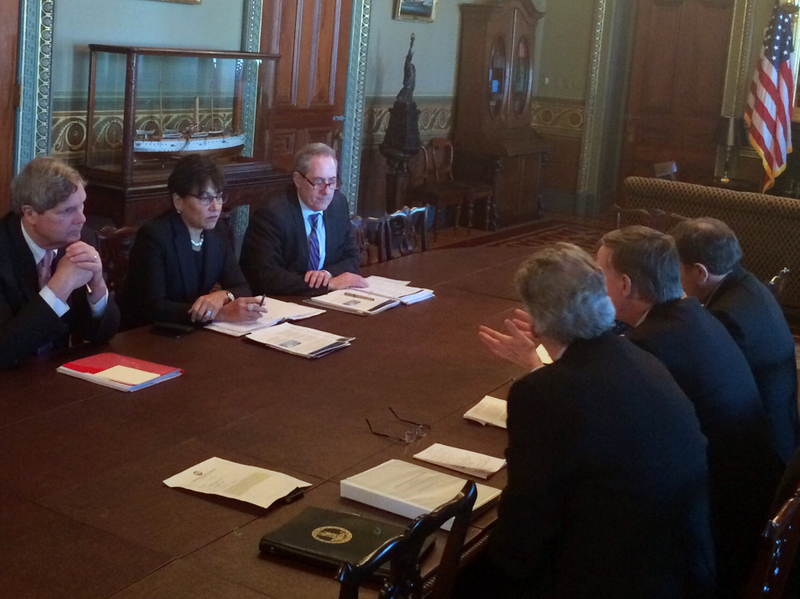 Yesterday, Commerce Secretary Penny Pritzker joined a bipartisan roundtable at the White House on the importance of trade and new trade agreements. The meeting was part of the National Governors Association (NGA) Winter Meeting in Washington. NGA is the bipartisan organization of the nation’s governors, and its members include the 55 states, territories and commonwealths of the United States. Governors John Hickenlooper of Colorado, Gary Herbert of Utah, and Terry McAuliffe of Virginia attended the roundtable, along with Secretary Pritzker, U.S. Trade Representative Michael Froman, Agriculture Secretary Tom Vilsack, and White House officials. During the discussion, Secretary Pritzker highlighted how trade has helped drive the nation’s economic recovery and proven beneficial to state's economies. For example, more than 5,000 Colorado businesses, both large and small, are counted among the ranks of America’s exporters. Exports from Virginia to our free trade agreement partners have grown by 74 percent over the past 10 years, and in Ogden, Utah, exports drove more than 100 percent of growth out of the recession. Overall, exports support 11.3 million American jobs – which pay up to 18 percent higher than jobs not related to exports. In addition, the Commerce Department announced earlier this month that American exports had hit an all-time high for the fifth year running – sending $2.35 trillion worth of goods and services overseas. That is why the Obama Administration has set an ambitious trade agenda focused on building on this progress. It will ensure U.S. businesses in every state can access more global markets with fewer barriers. This agenda includes the completion and implementation of new trade agreements including the Trans Pacific Partnership, which the U.S. is negotiating with 11 other nations. Once completed, TPP will give American businesses free trade arrangements with 40 percent of global GDP. Secretary Pritzker stressed to the attending governors that in today’s global economy, American prosperity is directly tied to our ability to reach new markets and new customers beyond our borders. 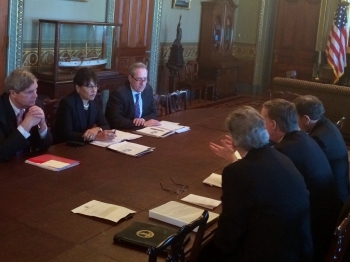 Today’s roundtable gave Secretary Pritzker an opportunity to urge the nation’s governors to support trade policies like TPP, and explain why they are essential to the growth of the economy, to the creation of good jobs, to the economic security of American families, and to the competitiveness of our businesses.